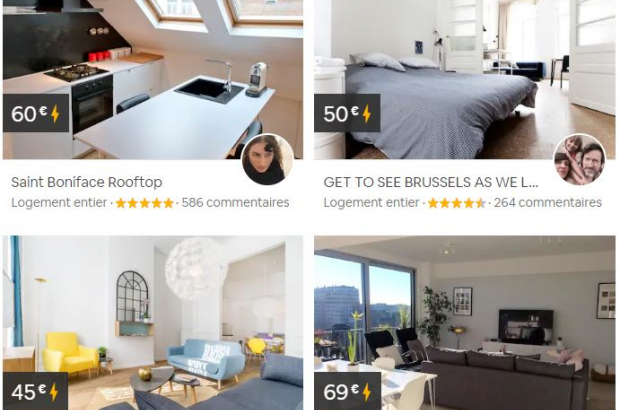 Despite the implementation of harsher regulations by the Brussels government in 2016, the number of Airbnb homes is increasing rapidly, new figures show. Airbnb hosts are required to submit a number of documents before being allowed to rent out rooms. A copy of the title deeds, an insurance contract, an extract from the judicial record and a certificate of fire safety and a floor plan of the property need to be submitted, along with the consent of any co-owners if the host is letting an apartment. Even so, the amount of Airbnb homes in Brussels has shot up in the past few years. As of 2017, there were 4,663 listings in Brussels. Now there are over 8,500. Along with the burst of new listings came many removals. Since the new regulations, 332 listings by Airbnb hosts in Brussels were taken down, which amounts to about 5% of the listings. Airbnb communications manager, Aurélien Perol, credits the loss of listings to the difficulty renting brought by the 2016 regulations. Receiving a fine of anywhere from €250 to €25,000 is a possibility if an Airbnb host is found not following the imposed regulations. Inspectors opened up 822 files against hosts and made 793 visits so far to Airbnb properties since the regulations took effect. These sanctions and fines have kept the growth of Airbnb homes in Brussels at a slower rate than those of the surrounding area, according to Perol. The growth of travellers in Brussels was 35%, compared to 79% in Wallonia and 54% in Flanders. The laws in Belgium go against anyone/everyone trying to make money on their own....this is not a country of entrepreneurs...in most countries "Small Business" is encouraged...here is it is given the derogatory term "freelancing" and discouraged.